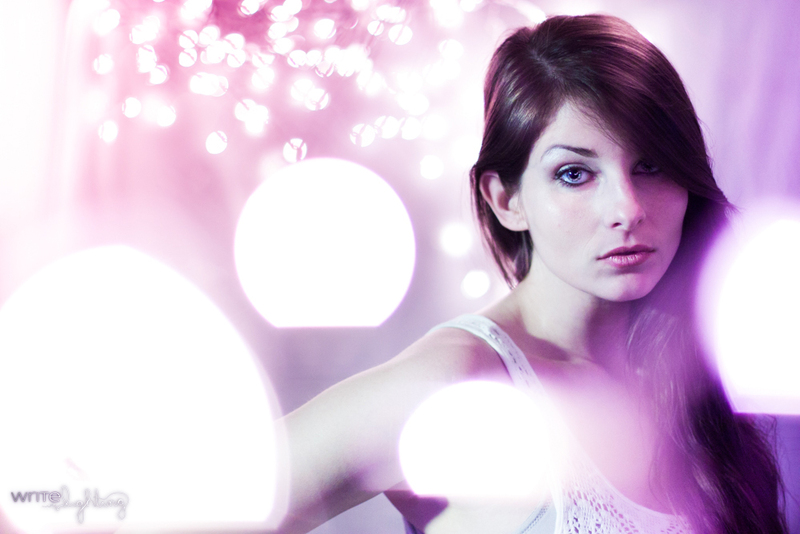 You’ve probably seen those "bokeh balls” on the internet before. You know the ones with lights blown out in the silky smooth background. 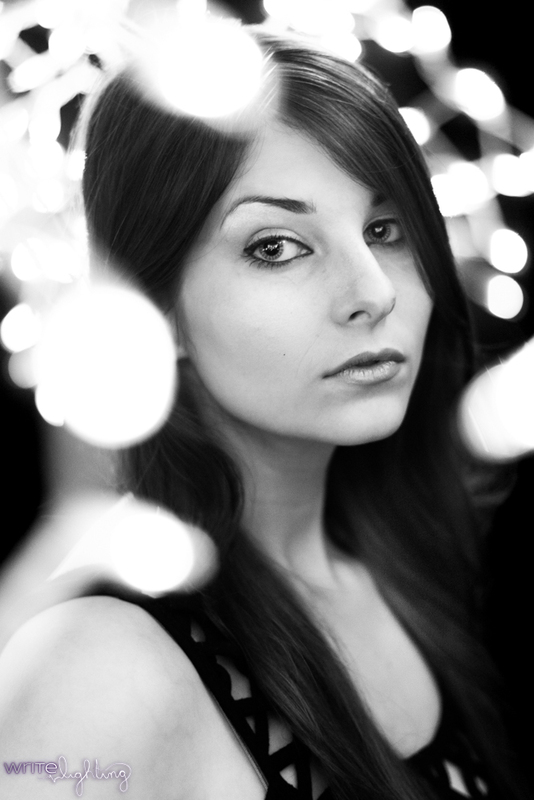 Well I got together with an awesome model friend of mine and tried out a series of conceptual portraits using christmas lights that utilized the effect. Her idea was to string some icicle lights around a hula hoop and stand in the middle of them for this kind of etherial look. The idea was great, but until we set everything up and tried it out, it actually turned out to not work the way she was hoping it would. Now we could have scrapped the idea and went onto something else, but I was pretty sure that I knew what she was looking for so I suggested trying a different approach. You can see in the photo above the set up we had going on. I figured she wanted the lights to blow out to the point where you wouldn’t see the lights as if they were floating all around her. What was happening with the original set up was, even though we were at f1.4, she was so close to the lights that I couldn’t properly blow the background and foreground out unless I did a really tight headshot. She had brought multiple outfits along, so obviously it wouldn’t make any sense to only do headshots. So I showed her what I was talking about and that was exactly what she had in mind. Then she suggested the setup above so I wouldn’t have to do a balancing act of holding lights in one hand and a camera in another. It was a big collaborative effort and the end results speak for themselves. Since she brought multiple outfits, we switched up the background to match the change from black dresses to white. Personally, I think the white ones turned out the best, but really you can’t choose between awesome and amazing ;). Seriously though, the great thing about the white background is that the white wire of christmas lights blended in well. By the time we got to the white dress, I had shoved myself so far back into the corner of a wall in an awkward position to really exaggerate that bokeh. If anyone tries to tell you that photography is easy work then send them to me. My body felt like I’d been murdered after the shoot was over. Photography, and modeling for that matter, can be surprisingly, physically intensive. Not that I’m complaining or anything; I’ve done hard labor jobs in the past and I’d take this everyday all day.